The St Albans Child Contact Centre is a voluntary organisation and the initiative of, and was formed in 2008 by the Mothers' Union branch of St Albans Abbey and Cathedral. 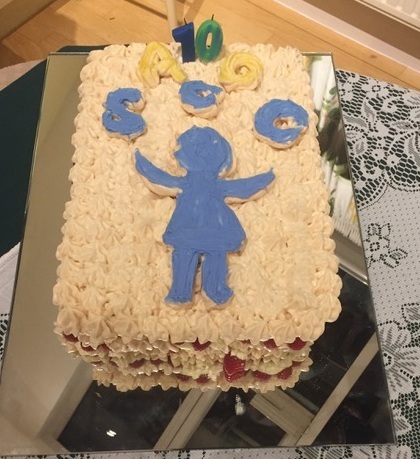 Hence we have recently celebrated 10 years as a Child Contact Centre. The majority of volunteers are members of the Mothers’ Union and we all give our time voluntarily. We all undergo training, e.g. first aid, Health & Safety, conflict management and a DBS check. We are one of over 300 centres across the country and are accredited by the National Association of Child Contact Centres (NACCC). We receive support, expertise and operate under the procedures and policies of the NACCC. Do you have a few hours to spare on a Saturday morning and would like to be involved in our Contact Centre? Volunteers need to be impartial, caring, flexible, discreet, enthusiastic and reliable. They must always put the child's needs first and not take sides with either parent or any other adults involved in the contact. Volunteers are formed into teams and rotate approximately every 10 weeks for the Saturday contact sessions. There are additional training sessions and meetings occasionally. If you are interested in becoming a volunteer, or finding out more, please contact us as below or you can apply using this form. We have a very close working relationship with the St Albans Abbey 17th Scout Group and are grateful for this and the use of their hall for our contact sessions. If you would like to make a donation please contact us using the details below, and for your information our charity number is XT21929. If you are new to St Albans, or you are travelling some distance, you may find these websites useful. Volunteers with Ann Maine (centre), MP for St Albans, at a Saturday contact session.